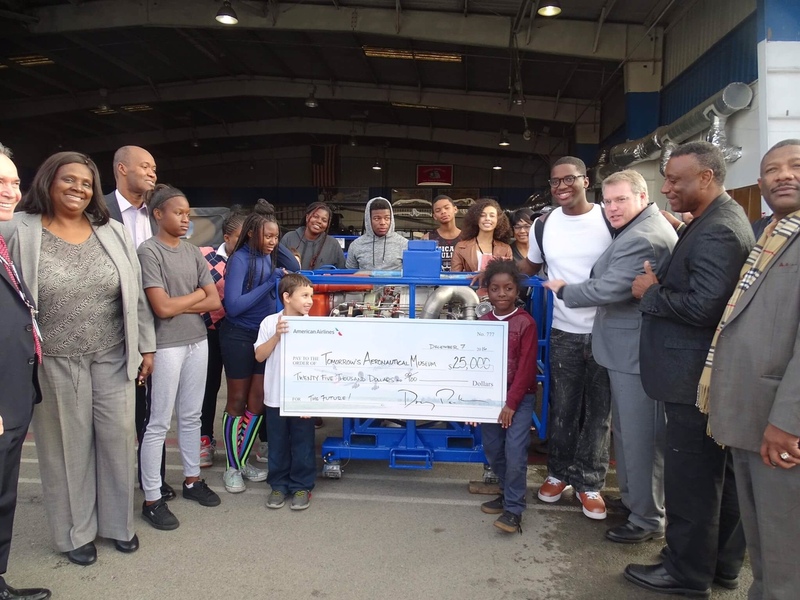 Top executives from American Airlines take a trip to Compton to present the most prominent donation in the history of Tomorrow’s Aeronautical Museum. 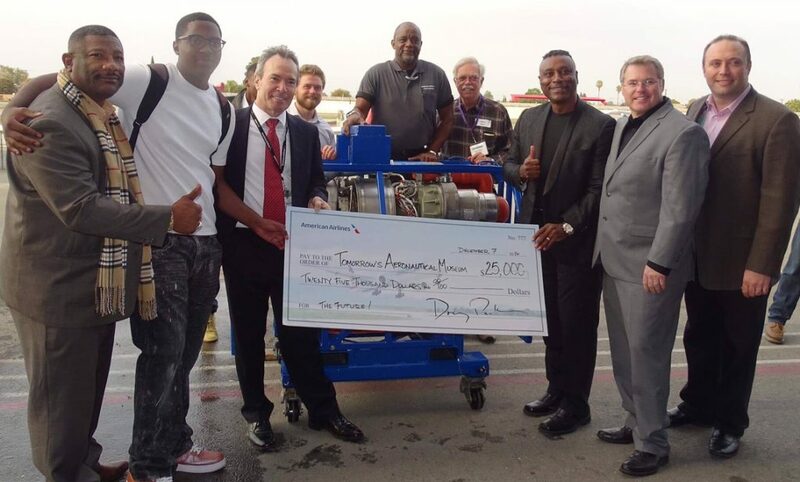 Along with the presentation of a $25,000 check, American donates an Auxiliary Power Unit (APU) intended for powering an MD-80 or regional jet. This piece of maintenance equipment retails at $90,000 and signifies the start of our airline mechanic training program. 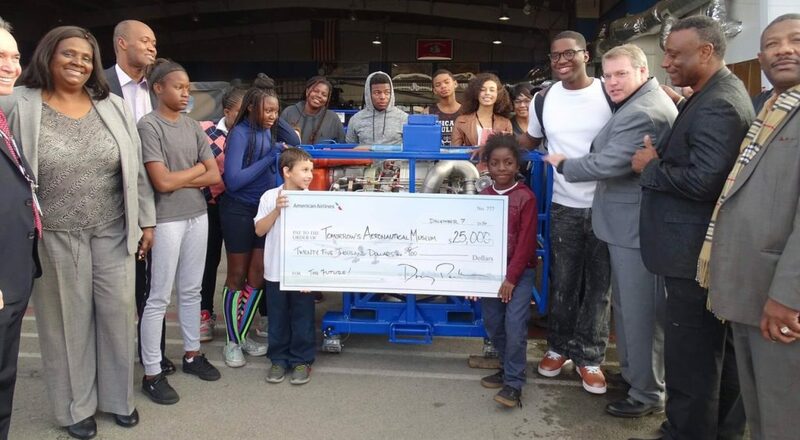 With the help of American Airlines, TAM now has the ability to produce quality mechanics poised to take the aviation industry by storm. This support sparks plans to upgrade the museum to Smithsonian quality and expand into a national program. Our success hinges upon the support of the amazing people who work at American Airlines. Thank you so much!